« Product Photography, ultimate image…. 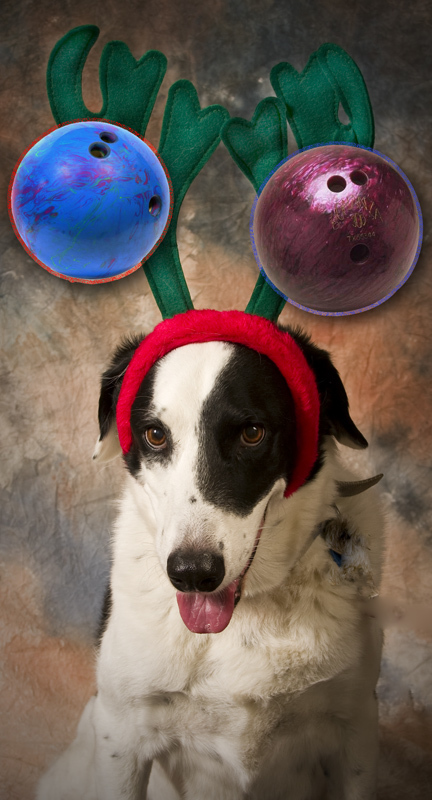 My Best friend for the last 11 years decked out to advertise a Bowling Christmas Party. This entry was posted on November 8, 2008 at 1:42 AM	and is filed under Public Relations Photography. Tagged: dog photography. You can follow any responses to this entry through the RSS 2.0 feed. You can leave a response, or trackback from your own site.